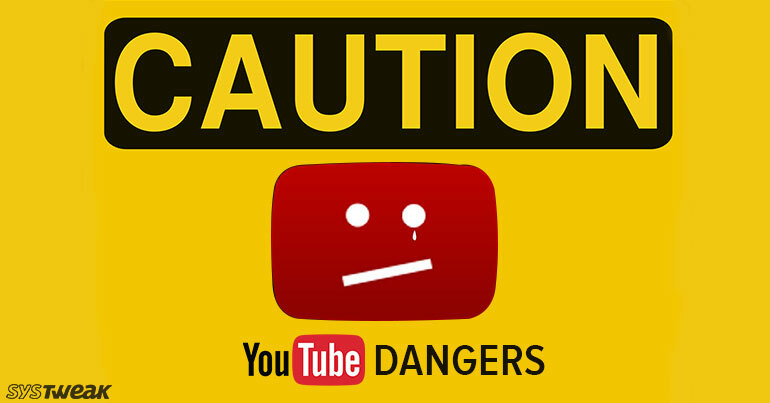 You could be considered really smart or dumb, in case you feel that your system could be attacked through YouTube. With 300 hours of videos uploaded every minute, 30 million visitors per day and more than a million advertisers on the platform, YouTube is the best invitation any hacker can receive. Well, your system is not vulnerable while you are watching videos, there are other ways how hackers can trap you. The most common of them are misleading links and ads on YouTube that can direct you to malicious websites. Disclaimer:- This article does not intend to degrade YouTube or its creators in any manner. It is only meant to educate readers about possible threats on YouTube and how you can stay protected and enjoy video surfing. Where majority of the links available in the video description will take you to legitimate site, there are some links that will redirect you to malicious websites. For example, while performing YouTube search for your favorite movie, you may end up with results showing the exact title, thumbnail, and length. But, when you click on the link, it will redirect you to a fake website. Further, the website will ask you to sign up or download a software to watch the movie. You will ultimately end up with a malware attack on your system. The truth is that you can watch full length movies(free or paid ) on YouTube but those videos will never ask you to click on any suspicious link to continue with the movie. More often, such links if working, will lead you to a piracy sites and such sites consist of malware or deceptive ads. Also Read: 20 YouTube Features You Probably Don’t Use, But Should! You can also find links in the comment section below. If you click those links, you will get redirected to a fake page where you will be asked to upgrade your video player to watch the video. The upgradation link will download a malicious software on your system. It is strictly advisable to never click on any links in the comment section. YouTube users can go astray if they click on malicious ads. These ads run alongside popular videos and redirect users to other malicious websites. In 2014, Trend Micro reported such incidents where YouTube users, majorly from the US were targeted and redirected to malicious websites. Additionally, hackers use YouTube ads as medium to infect systems with virus robots(botnets). Botnets turn your systems into zombie devices and make your devices watch YouTube videos all day without you even noticing it(botnet mutes the volume of the video). Tubrosa is a powerful botnet. Although, it does not come through YouTube, the software is used increase YouTube views. Though there are different ways to secure your system, the surefire way is to avail a good antivirus program ASAP. It will protect your system from malicious software on YouTube and other social platforms as well. There’s certainly more to the internet than what meets the eye. Avoid random clicking when using the internet to ensure that you don’t accidently dive in a malicious cesspool!